Properties in Round Rock average 4.7 out of 5 stars. Casa Zephyr - Great for large groups and backs to local park. Location! Property 1: Casa Zephyr - Great for large groups and backs to local park. Location! Large Ranch Style Home On Over An Acre In Round Rock. Pool, Hot Tub, Game Room! Property 3: Large Ranch Style Home On Over An Acre In Round Rock. Pool, Hot Tub, Game Room! Spacious Lakefront Round Rock House w/ Water Toys! Property 4: Spacious Lakefront Round Rock House w/ Water Toys! 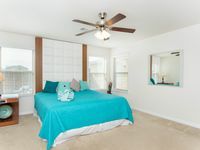 *Spacious 2600 sq ft Austin/Round Rock Retreat* Everything is NEW!Keyless entry! Property 9: *Spacious 2600 sq ft Austin/Round Rock Retreat* Everything is NEW!Keyless entry! NEW! Round Rock Family Home - 20 Mi. to Austin! Property 14: NEW! Round Rock Family Home - 20 Mi. to Austin! Enjoy Austin, Round Rock, Georgetown, Cedar Park, Pflugerville, Manor, Leander. Property 17: Enjoy Austin, Round Rock, Georgetown, Cedar Park, Pflugerville, Manor, Leander. Huge House On Quiet Cul-de-sac! One Story, 2245', Family Friendly. Nice Place!! Property 31: Huge House On Quiet Cul-de-sac! One Story, 2245', Family Friendly. Nice Place!! Modern Austin Retreat Getaway - exquisite home! Property 33: Modern Austin Retreat Getaway - exquisite home! 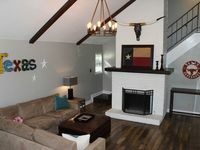 3 Bedrooms House in Round Rock, Texas . Property 34: 3 Bedrooms House in Round Rock, Texas . Property 36: LARGE 4 bedroom house. Amazing Skyline View, Walk to Barton Springs, Close to Everything, Free Parking! Property 38: Amazing Skyline View, Walk to Barton Springs, Close to Everything, Free Parking! Cozy Home Blocks to Georgetown Square & SU! Property 42: Cozy Home Blocks to Georgetown Square & SU! Great location for visiting Austin. The house was everything that they said it would be. We would definitely stay here again.